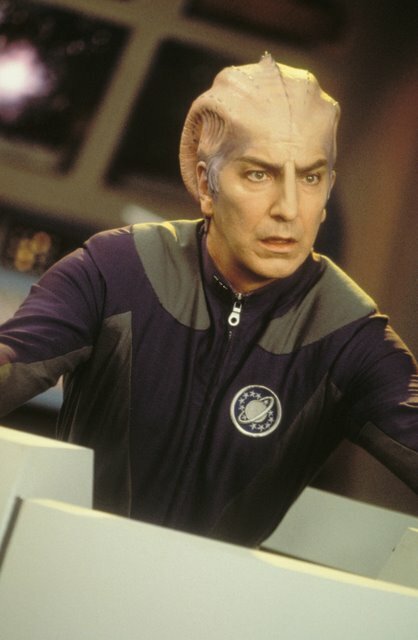 I'm not sure if I was in another galaxy during the winter of '99 but when I received information about the tenth anniversary deluxe edition release of director Dean Parisot's Galaxy Quest, I was sold within an instant upon seeing the names Alan Rickman and Sam Rockwell. Likewise, I was completely stunned that I'd never caught it before. 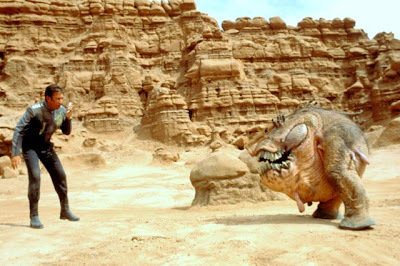 Yet, just as I was about to say that I'd love to review it-- my eyes moved lower on the screen wherein the clincher to the entire press release arrived with three little words proudly promising, "Sigourney Weaver Raps." Yes, it may be in an extra and not actually the film but the idea of the classy, tall, elegant and accomplished three-time Oscar nominee pulling a Dr. Dre seemed far too irresistible to pass up. While of course, admittedly I knew that it would help if the movie was good but when-- day in and day out-- you read an overflowing inbox filled with various press releases and news articles (with way too many awesome offerings and precious little time to take in as much as I'd like to discover), I'm always on the lookout for that something extra to grab my attention and share with Film Intuition. And obviously, in that respect, I'm not alone as the geniuses at Paramount knew that Weaver rapping would make the title stand out even more than in its beautifully (and rather expensive looking) futuristic packaging as they made the wise decision to slap those same three words in yellow font on a sticker that adorns the beautiful, 3D hologram style box for the Deluxe Edition's debut on shelves May 12th. 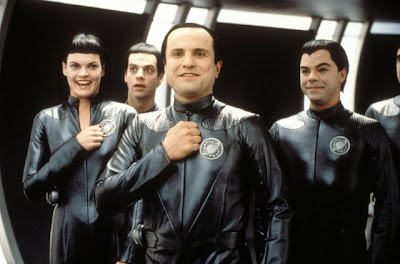 Marketing wise, the release of Galaxy Quest (which technically wouldn't celebrate its tenth anniversary until December) received an early and logical push now to help thematically tie in with both Paramount's big screen, fun summer blockbuster Star Trek from helmer J.J. Abrams along with the killer new Blu-ray releases of the classic films and series that also boldly offered fans the chance where Kirk had never gone before. And for those who were unfamiliar with the material, such as yours truly, this premature bow as a collectible DVD was more than justified with this surprisingly heartwarming yet hilarious good-natured spoof of the Star Trek franchise (both on-screen and off in the lives of the actors and their undyingly devoted fans) with the thinly disguised fictitious version of the series, appropriately sharing the title Galaxy Quest. Once an admittedly cheesy yet wildly entertaining television series-- the movie opens with a look at a clip of the Star Trek like vintage clip and then catches us up with the show's cast twenty years following the now cult hit's cancellation as the actors grudgingly eek out an undignified living cutting the ribbons at new shopping centers, signing autographs at science fiction conventions while posing for photos and answering trivia that fans obsess over when questioning the logic of the "mythology" and rules perpetuated throughout the series. 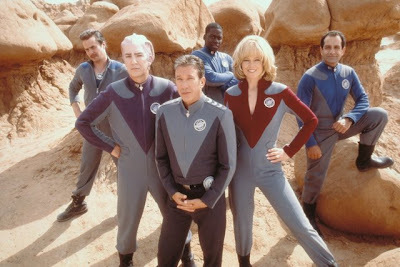 When the film itself begins, the frequently late, hung-over and always sneaking off for extra solo gigs-- Tim Allen's hilariously egocentric actor Jason Nesmith-- who's the crowd favorite for his William Shatner modeled role as Galaxy Quest's Commander Peter Quincy Taggart seems to fare better than his colleagues. While the show's one-time bit player Guy Fleegman (a terrific Sam Rockwell) serves as the emcee and scheduler for the crew-- having been so insignificant to the series that his nameless character died in episode 81-- essentially he serves as the bridge between the fans and the actors as he's stuck in the middle himself, never fully accepted on either side. Of course, we're not sure which one is less co-dependent or extreme as the fans dress up like their favorite characters and line up in droves to cheer and celebrate whereas the cast struggles to put on their game faces, wondering what happened to their careers. Rounding out the rest of the main "cast" of both the film and the fictitious show, we have: Allen's jealous sidekick in the form of the resentful and frustrated formerly Shakespearean thespian Alexander Dane (Alan Rickman in a role that channels Nemoy's Spock) who has said his famous one-liner so many times he's ready to snap; Weaver's beautiful blonde Gwen DeMarco, whose only role aboard Quest as Lieutenant Tawny Madison was to show as much cleavage as possible while simply serving as the translator to repeat whatever it is the computer has just said; Daryl Mitchell's former child actor Tommy Webber who played the youngest integral member of the crew; and Tony Shalhoub's illogically named Fred Kwan who played the "Asian" Tech. Sergeant Chen despite the fact that... well he's as white as his USA Network character Adrian Monk. When Jason is persuaded to appear in what he assumes is merely a paid side appearance by a group of strange yet aggressively friendly "fans," the movie ventures away from what we assumed was its satirical premise about has-beens struggling with their former glory and lives stuck on nostalgic repeat with as Shalhoub described a beautiful misdirection as Jason finds himself face-to-face with real aliens who-- after having mistaken old reruns of Galaxy Quest for factual "historical documents" completely rebuilt the ship to its exact parameters (useless, cheesy set-pieces and all) to recruit him to help fight an evil intergalactic villain set on destroying their race. 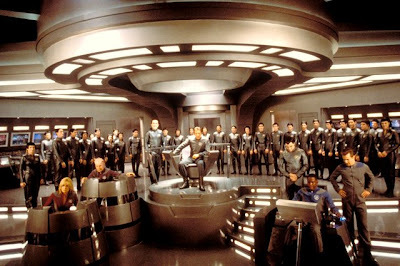 After Jason returns to Earth, his cast-mates assume he was simply trying to steal another gig out from under them and come along, only to find themselves all in an outer space reality version of Galaxy Quest minus the rubber bullets. 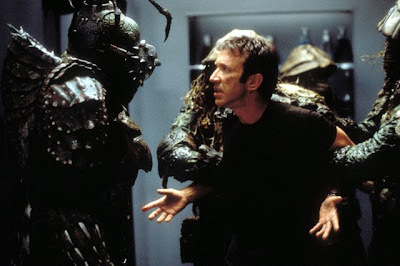 Highly creative and incredibly amusing both in the screenplay form from writers David Howard (who sold the spec script from the midwest and amazingly found his work realized) and screenwriter Robert Gordon as well as the talented ensemble cast. 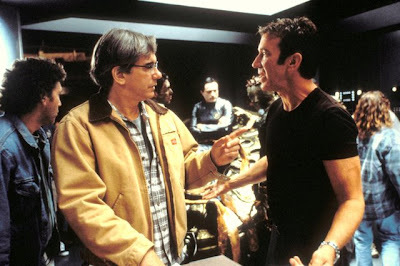 Following as Allen explains the director's advice to ignore the "jokes" and tendency to go for broad humor by playing everything seriously, the movie works so incredibly well for that reason as it's a film lampooning a franchise while also respecting it in a way that makes Galaxy Quest a movie that's still hard to pinpoint. As Weaver notes-- first acknowledging that it's probably the film she's been in that people have loved the most-- viewers didn't know what to make of it and ten years later they still don't as Allen simply confesses that "every part of [the film]... is great." Filling the work with the same kind of absurd logic that is apparent in series like Star Trek with a hallway that's filled with an intense gauntlet of medieval like blades and traps that can slice and dice stars serving no purpose other than to entertain (as Weaver's character complains throughout that they're stuck re-living the same badly written episode this time for real), it's even more amusing as it requires the assistance of the Galaxy Quest version of a Trekkie as Jason has to contact Ed star and "Hi, I'm a Mac" actor Justin Long as an obsessive, nerdy teenager who helps return the crew to safety along with his dedicated friends. 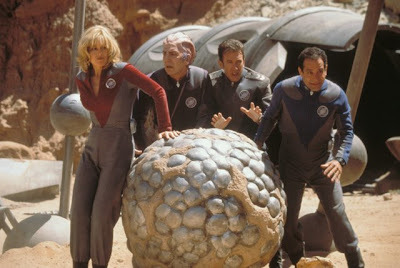 Yet, somehow managing to wrap the actors all up in the arc as well as Rockwell's unappreciated bit player worries that he has to die in this version of Galaxy Quest since that's what he did in the show and Rickman realizes just how important it is to say those same old lines once more with feeling-- it's an unexpectedly lovable romp that's guaranteed to entertain. Augmented with fond featurettes that roll out new interviews (as opposed to the same old material usually found in re-releases) and of course the extra where Weaver-- inspired by Daryl Chill Mitchell-- composes a rap for her agent's birthday in a video filmed by Parisot and co-starring some of the Quest crew, the film's a blast and one that I wholeheartedly wish I would've seen back in its initial release, although perhaps it may have fared better as a summer blockbuster a la the work its gently toying with in the form of Star Trek.